World Bank President Robert Zoellick said the global economy is “one shock away” from a crisis in food supplies and prices. 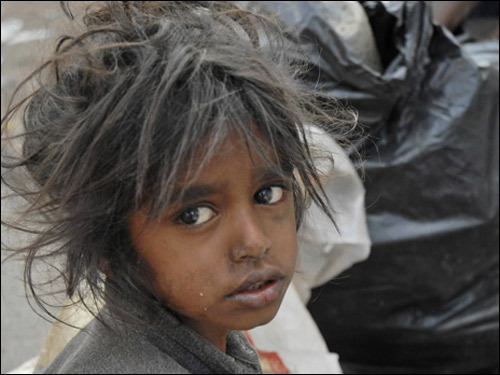 Zoellick estimated 44 million people have fallen into poverty due to rising food prices in the past year, and a 10 percent increase in the food price index would send 10 million more people into poverty. The United Nations FAO Food Price index jumped 25 percent last year, the second-steepest increase since at least 1991, and surged to a record in February. Zoellick said he opposes export bans that nations use to depress local commodity prices for their citizens, lifting costs for consumers in other countries. Farmers in Russia, once the second-biggest wheat exporter, are planting the fewest acres in four years, in part because a government export ban kept prices low, a Bloomberg survey of producers, traders and analysts showed last month. India, the largest grower after China, is mulling lifting an export ban in place since 2007 as harvests may reach a record for a fourth straight year, Agriculture Minister Sharad Pawar said this month. 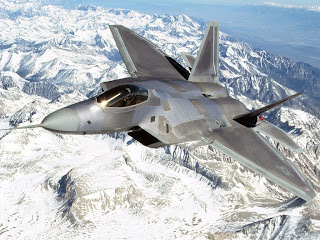 More than five years and nearly $80 billion after the world's most expensive fighter jets joined the U.S. military fleet, the high-tech stealth F-22 Raptor has yet to see combat -- despite the U.S. Air Force's involvement in three simultaneous major combat operations. The president praises the Senate for halting costly F-22 spending.When the U.S. led an international effort to secure a no-fly zone over Libya last month, the F-22, the jet the Air Force said "cannot be matched," was not involved. The Air Force said the $143 million-a-pop planes simply weren't necessary to take out Libyan dictator Moammar Gadhafi's air defenses. "If this was a requirement, it would've been used," Air Force spokesperson Maj. Chad Steffey told ABC News. "We had all the assets that we needed in Europe already... It simply wasn't an operational requirement." In fact, though the Air Force has more than 160 F-22s, Steffey said that they have not been an "operational requirement" in any major theater of combat for the U.S., from Iraq to Afghanistan, since the first of the planes went combat ready in December 2005. Not a single one of the planes -- which cost U.S. government $77.4 billion for a total of 187 planes from Lockheed Martin according to recent report by the Government Accountability Office -- has used what Lockheed Martin's website called a "revolutionary leap in lethality" in defense of U.S. interests. And though Congress cut all funding for new Raptors in 2009, Lockheed Martin is still receiving hundreds of millions in taxpayer dollars to make upgrades to existing planes. The closest an F-22 has come to combat was in 2007 when a pair of Raptors intercepted and monitored two Russian bombers that were on patrol in airspace near Alaska, according to a report by Air Force Magazine. Both the Air Force and Lockheed Martin said the reason the planes have yet to fire on any enemies is because they're designed to dominate the air against rival, sophisticated air forces or air defenses, not a small, poorly armed third-world militaries and insurgent groups. The planes' natural enemy, therefore, is one that the program's biggest critic, Defense Secretary Robert Gates, said as of now does not exist. Dozens of supporters of the F-22 program in the House and the Senate wrote letters to President Obama ahead of the 2009 budget decision, arguing a full force of F-22s would be needed to meet the future challenge of other nations like China and Russia that are also developing fifth generation fighters and new, high-tech air defense systems. Gates dismissed these claims and said the U.S. next generation fighters, both the F-22 and the newer F-35, would greatly outnumber any adversaries for the next 15 years at least. Jeff Babione, the vice president and project manager for the F-22 program at Lockheed Martin, said China and Russia's fighter programs were a consideration in the F-22's development, but also said the F-22 could find a home in strike missions against rogue nations like North Korea and Iran. "[The F-22s] are in an area where they would be solely or more suited for a sophisticated adversary like North Korea," Babione told ABC News. "In particular, its ability to penetrate highly defended locations -- such as North Korea -- only the Raptor would be able to get in there and prosecute the missions." Another reason Gates argued against continuing the F-22 fighter is that he said he wanted to put some of that money into the newer F-35 jet fighter. That plane, which is also in development by Lockheed Martin, "will be the backbone of America's tactical aviation fleet for decades to come if -- and this is a big if -- money is not drained away to spend on other aircraft that our military leadership considers of lower priority or excess to our needs," Gates said in 2009. "The F-35 is 10 to 15 years newer than the F-22, carries a much larger suite of weapons, and is superior in a number of areas – most importantly, air-to-ground missions such as destroying sophisticated enemy air defenses," he said. The F-35, at a smaller price tag per plane than the F-22, is designed to replace the F-16 -- which incidentally was involved in operations in Libya -- and "will complement the F-22," according to Lockheed Martin and the GAO report. According to Lockheed, the F-35 is better suited for current combat operations since it has a superior air-to-surface attack capability, but can work in tandem with the F-22. While the F-35 has experienced its own serious development issues, the first planes are scheduled to be delivered to the Air Force this spring, Lockheed told ABC News earlier this year. In the meantime, Babione said the F-22 was "absolutely" a prudent investment for its value as a deterrent to potential foes and said he hopes the Raptors never do go to war. "The best weapon is the one that's never used," he said. Never fear though, the Republicans have a budget plan to cut funding for these food programs so the money can go to corporate "incentives.